Time to get super healthy with our Superfood Salad! 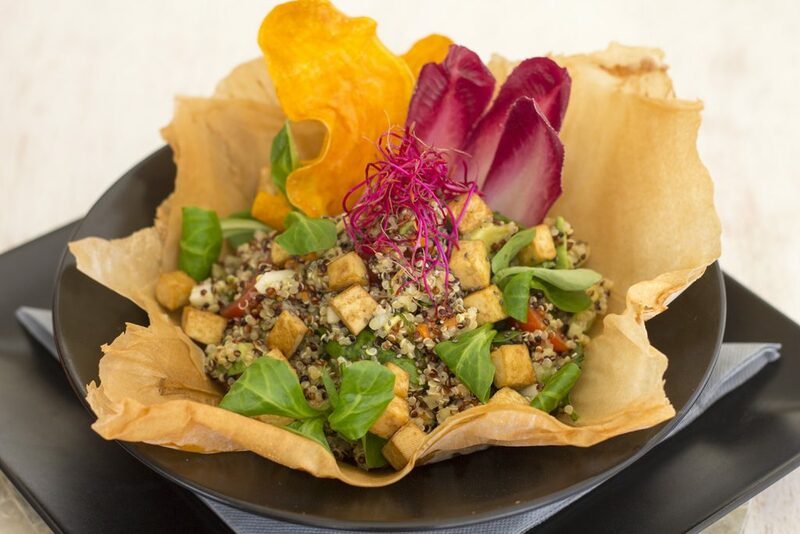 With all those days and nights partying here on our favourite island, your body will need nourishing, healthy food and O Beach Ibiza have exactly what you need. Our chef Luciano has created a really easy dish, available here in our restaurant, a scrumptious salad. In today’s post we are going to share with you the secret of making it, with all the ingredients you need and a step by step guide. Enjoy! Fill a medium saucepan with water. Add a pinch of salt and bring to the boil. Meanwhile, whisk lemon juice, oil, garlic, the remaining 1/4 teaspoon salt and pepper in a large bowl. Add the cooled quinoa, tofu, bell pepper, tomatoes, cucumber, parsley and mint; toss well to combine. Whilst you wait whish the lime juice, soy sauce, olive oil and remaining salt and pepper in a bowl. Pre-cooked “smoked tofu” is firmer than water-packed tofu and comes in a wide variety of flavors. You might also like flavored baked tofu on a sandwich or in a stir-fry. Add in the cooled quinoa, tofu, tomatoes, spinach and remaining vegetables. Toss well to combine. So there you have it, how to make your very own O Beach Ibiza dish at home!